No Award loves wombats (not as much as penguins, sharks and cephalopods, but still a lot). 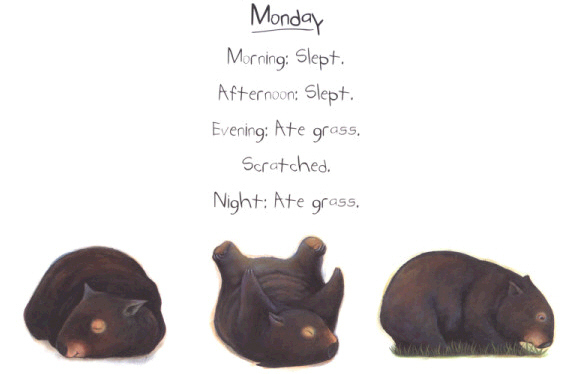 And today, October 22, it’s World Wombat Day! I think you know what that means. Patrick, whom some of you may know. Patrick lives in Ballarat. 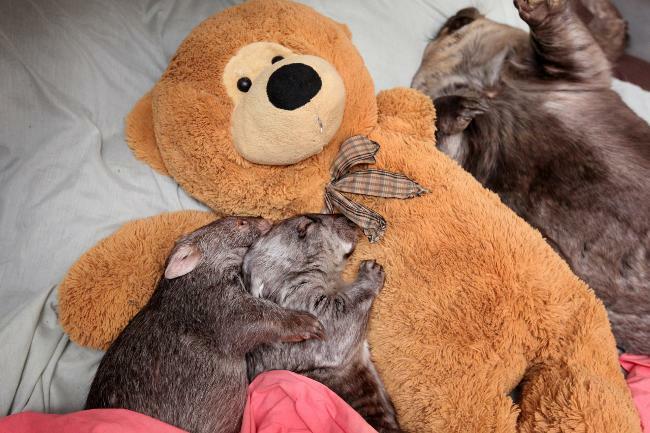 Did you know wombats are related to koalas? I guess that makes sense. I GUESS. Its Latin name is Vombatus ursinus WHAT A GREAT NAME. Wombats have a single pair of upper and lower incisors which grow FOREVER and are used to gnaw through stuff. 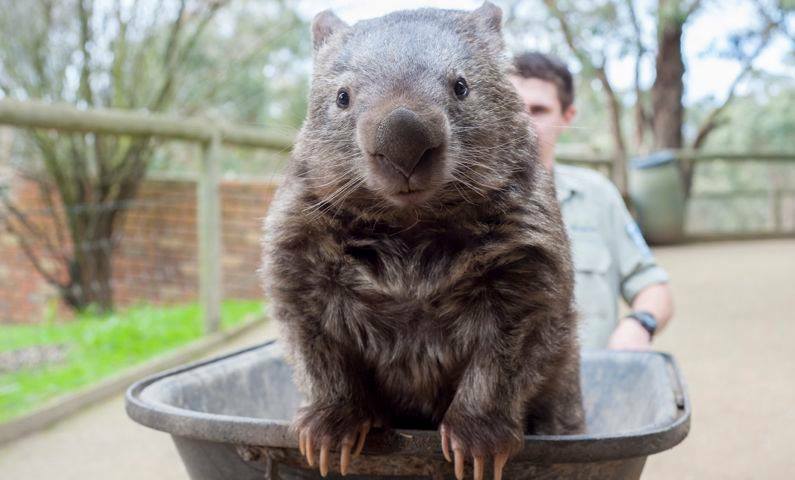 Wombat burrows might be extensive tunnels, up to 20 metres long and two metres underground. Wombats often have more than one burrow! SWEET AS. They live in there alone, but because areas overlap sometimes more than one wombat inhabits one burrow (but at different times). That is actually really cool? So long as you don’t mind a friend sleeping in your bed when you’re not there. If you see a log or tree that has been rubbed smooth, that might be because it’s a place a wombat regularly scents to mark its area. 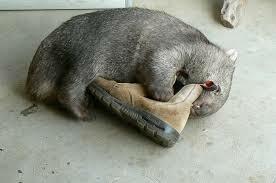 Wombats can injure attackers by using their HEAVY BODIES to crush UPWARDS against the roof of a burrow. You can totally be KILLED BY A WOMBAT. Help track wombats via Womsat.